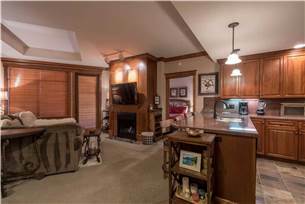 Mill Club is THE building in Copper's Center Village and this is the condo to rent in Mill Club. 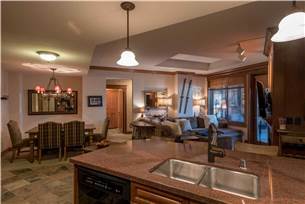 401 is on the TOP FLOOR! 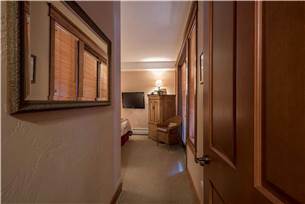 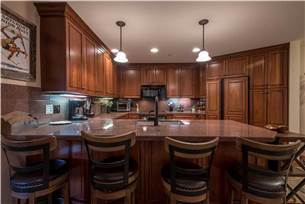 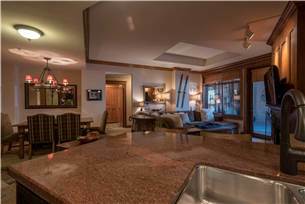 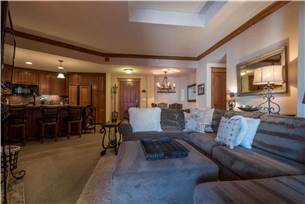 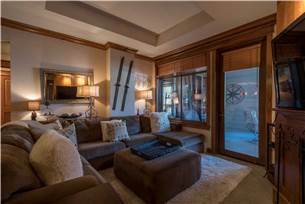 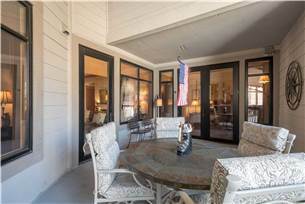 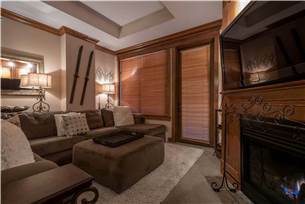 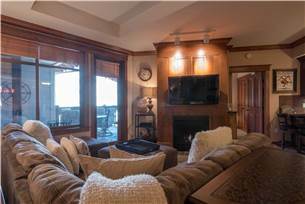 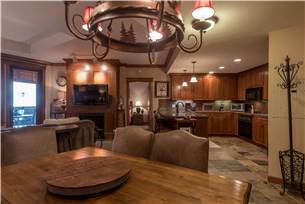 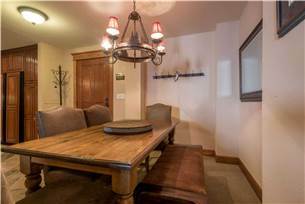 The open floor plan and beautiful decor of this elegant, newly furnished, condo will make it a great base for your most memorable ski vacation. 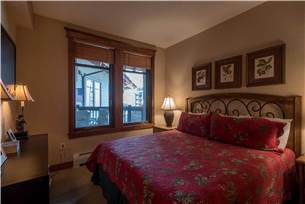 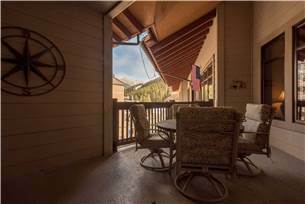 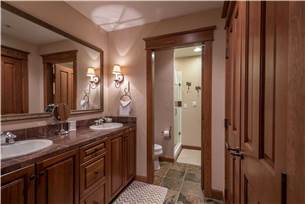 With 2 Master Bedrooms and 2.5 baths 401 Mill Club is perfect for a family looking for the best Copper Mountain has to offer. 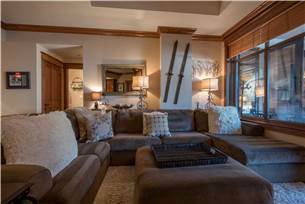 Mill Club 401 has upgraded cable in the living room and one master too. 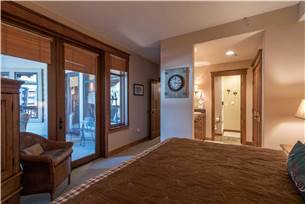 One of the two master bedrooms features a king size bed, TV and a full size dual-vanity private bath while the other master bedroom also has a king size bed, another full size dual-vanity private bath and a Jacuzzi type tub. 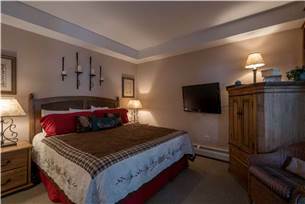 Each Master Bedroom also includes a 40” wall mounted flat screen TV. 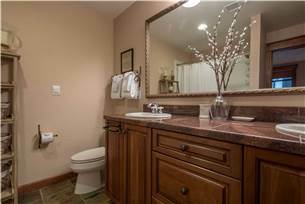 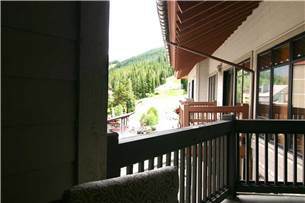 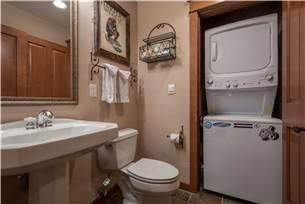 Additional amenities include a private washer and dryer, radiant heated floors in all the bathrooms, Free WiFi and an over sized balcony with views of Copper Mountain and the convenience of ski lockers right inside the building’s front door! 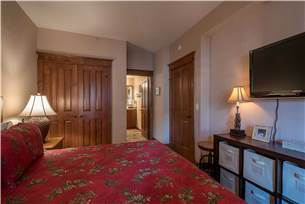 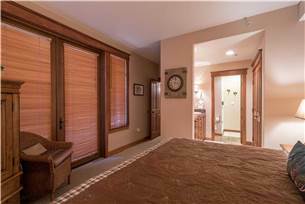 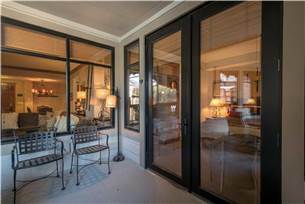 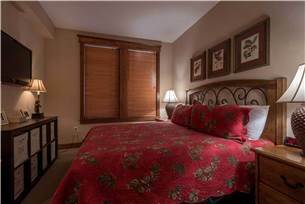 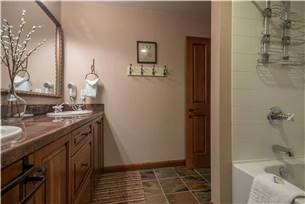 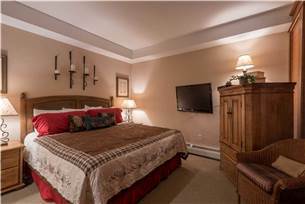 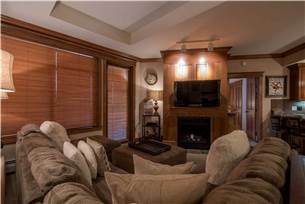 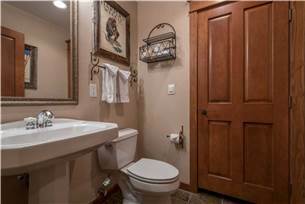 The Living Room has a flat screen TV/DVD,, a gas fireplace and access to the ½ bath without entering the bedrooms. 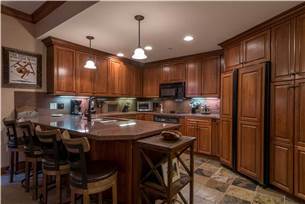 The large dining room table is located just off the full size, well equipped kitchen featuring granite counter tops and flooring and cherry cabinets; perfect for entertaining at 1,171 sq ft. Mill Club also offers heated underground parking, a fitness room, an indoor hot tub and best of all is located right in the heart of the Center Village's just steps from the lifts and many shops and restaurants.